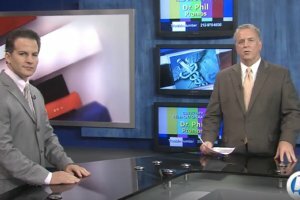 Roxanne Stein: Telemedicine, it sounds like a bigger fancy name for seeing your doctor via computer and it’s not a thing of the future anymore. Telemedicine is very real. 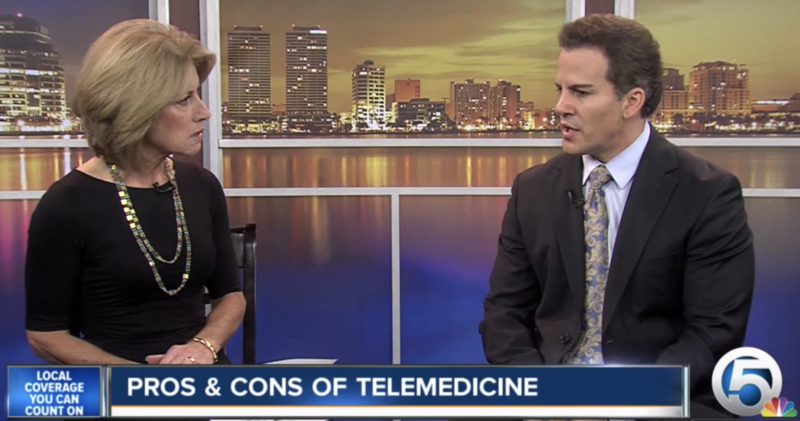 Dr. David Soria is joining us now to help us sort out the pros and cons of telemedicine. I’ve done so many stories on this in the last 15 or 20 years about being so convenient for rural residents, but now it’s very mainstream and people down the street are using telemedicine. David Soria: Well yeah, I mean you hit the nail on the head Rox. I mean a lot of people think it’s futuristic when in reality it’s not only here now, it’s been around for decades, and like you said, it’s primarily been used for that rural outreach. But the reality is is what it is it’s the exchange of medical information electronically to be used to improve patient care. What we’re seeing now is not just that electronic information that’s being exchanged, but we’re seeing some real-time video conferencing that really makes that encounter almost lifelike. So it’s very advantageous now not only for people that can’t get to hospitals but even for you and I that are here that like the convenience and like the low cost advantages. Roxanne Stein: So who should consider using telemedicine and our doctors now allowing time for doing telemedicine consults? David Soria: The answer is that anybody can consider using it. Many times it’s not necessarily a patient choice. Many times it’s just that service that’s being offered. Very commonly right now it could be used for psychiatry or even neurology where there may be a supply that isn’t meeting the demand. And so this is a way to sort of bridge that gap. There are certain pros and that is that it is less costly, doctors can see more patients in a shorter period of time, and many people might even say that the quality is improved, but you can more frequently monitor and things like that, so it is improving that exchange. Roxanne Stein: Now I did think though when you say, you’re saying quality can improve, but I thought but you’re not touching me, you’re not feeling me, you’re not getting that sense of my overall mood. Is something lost in all of that Dr. Soria? David Soria: Well again that’s exactly right, and when I say improved quality I mean the fact that you can actually go out, you can see patients more frequently, you can talk to them, you can visualize them, and you can monitor them. That in turn can improve quality. But you’re right, some big-time cons. Number one is you lose that bedside interaction, very important. You lose the physical examination. That physical examination is very important still today. For example, one of the most common complaints that patients come in with is abdominal pain. Without us putting our hands on that abdomen, feeling that belly, seeing where that pain or that tenderness is the exam or that interaction is very much compromised and things can get missed, so there is a disadvantage when it comes to telemedicine. Roxanne Stein: But used properly it can be a very big advantage to patients and doctors and the medical field in general. That’s terrific. David Soria: No question about it. It is a solution to a current problem. That problem may be that the supply isn’t meeting the demands and this is a way for us to achieve that. Roxanne Stein: So folks at home, you should talk to your doctors and make sure this option is available for some of the things that it is very good for. Dr. Soria, thanks for your time. We’ll see you next week.